It's a new month and time for another edition of Gotta do THIS in the Canadian Rockies surrounding Calgary as our home base. 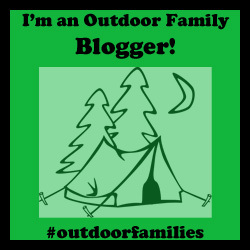 As always, I'll also share some fun road-trip worthy suggestions for the next long weekend or for spring break planning. Attend Winter Carnival at the Cave! Visit the Cave and Basin National Historic Site (free entry with your Parks Canada Discovery Pass.) The kids can try curling, slide down the ice slide, and see ice palace. Event runs February 1st through February 5th. I've also been told that there is a second ice slide and playground downtown Banff beside the skating rink at the Banff High School. Participate in Star Gazing on top of the Banff Gondola! This activity is free with your gondola admission and takes place every Friday in February. Learn to Ski or Snowboard in Central Park downtown Banff with the Ski Big 3 Slide and Ride event. 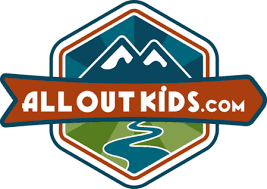 Great for kids who ski but have been expressing interest in trying snowboarding. Also great for kids who have never tried downhill skiing or boarding and would like a quick "taste" of what these sports are all about. This event takes place on Saturday, February 4th and Sunday, February 5th and is free. Learn to Snowshoe in Central Park downtown Banff. Snowshoes are supplied for this free event taking place on Saturday, February 4th. 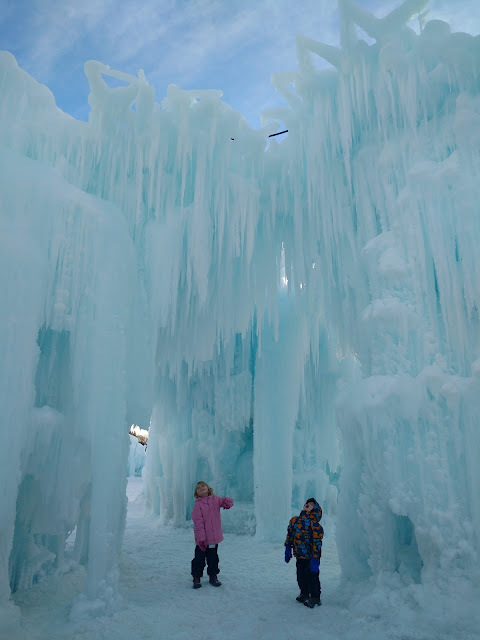 Visit Lake Louise to skate around the ice castle and to see the ice sculptures carved in the recent Ice Magic Festival. This is something you should be able to do anytime in February until the ice melts. Edmonton was recently named one of Canada's best winter cities by Canadian Geographic. Therefore, I'm copying this section from my "Gotta do this January" post because I can't get enough of the ice castle photos I'm seeing on instagram. Visiting the Edmonton Ice Castles has been on my list of things I really want to do. The Ice Castles are located in Hawrelak Park and have a small admission fee. Tickets can be purchased in advance on line. If you time your visit right, you can also attend the Silver Skate Festival which is a 10-day festival running between February 10th - 20th. It is celebrating its 27th anniversary this year and combines skating, arts, and culture. Can't travel north to Edmonton to see the ice castles? Fortunately Calgary has its own share of winter festivals coming up this month. Below are my top picks for family-friendly events in the city. Iced at Winsport is a brand new event in the city and is largely an ice carving festival.The event runs all month long at Canada Olympic Park and features a fun assortment of ice-themed activities. 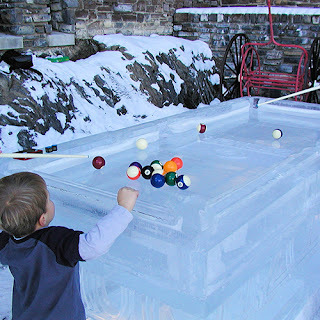 Families can try ice chipping, and ice games (with new games added weekly.) Kids can play on the ice slide, try jumping on a springfree trampoline, or learn to snowboard in the Burton Riglet Park. (Something I will have to take my own son over to try.) And, there's an ice lounge (the only one in the city) which will be going on my list of activities I want to try. Visit the Winsport website for full information on pricing, hours, events and activities. 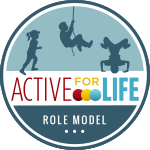 This event takes place on Monday, February 20th of the Family Day Weekend. "Join us for a day of family activities including a Quebecois sugar shack, traditional Blackfoot winter stories, a dreamcatcher making workshop, Mountie uniform try-on, a kids' historical play in the theatre, and various kids' games and learning activities throughout the day." For full information, visit the Fort Calgary website. This event takes place from February 17th – 20th over the Family Day Weekend. It is a family-friendly interactive light festival sponsored by Downtown Calgary. "Each night from 6:30pm to 11pm public spaces throughout the downtown core will be lit with one-of- a-kind installations, projections, theatrical experiences and interactive light art commissioned from artists, representing local, national and international talent." For full information visit the Downtown Calgary website. YYC Hot Chocolate Fest - with two choices available at Seasons at Bowness beside the skating lagoon. This is Festival Month and so onward to our next destination: Canmore! The Canmore Winter Carnival runs from February 4th - February 12th. A full list of events can be viewed on the Tourism Canmore website. Notable event: Snowy Owl Kid N Mutt Races at the Canmore Nordic Centre on Sunday, February 12th - pre-registration required (follow this link to register) and this year, kids get to drive their own sleds. Registration is $6 per participant and note that the event is weather dependent. The event is open to kids ages 5 - 12 and you can use your own dog or one of Snowy Owl's sled dogs. There is also a family challenge if you want to compete together. Close proximity to the Lake Louise Village, snowshoe trails, Lake Louise skating rink, cross country ski trails, and the Lake Louise Ski Resort. 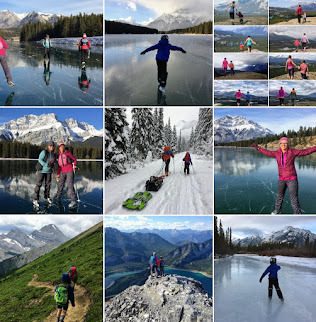 We pretty much did everything while staying at the hostel including a guided snowshoe tour, tubing, and downhill skiing at the Lake Louise Ski Resort, cross country skiing around the area, and skating on Lake Louise. Unload all skis and gear in the skier drop off area and then send an adult back to park the vehicle. Bags can be carried into the Whiskey Jack Day Lodge and placed on shelves there. Skis can be carried down to the base area. Plan to visit the Sunny Tube Park at the end of the day for some pre-drive home fun. Consider booking a guided scenic snowshoe tour if you have members in your group who don't want to ski (or if you are in the area for a weekend.) Our tour was beautiful and we learned a lot about the area and its history. It was also a great interpretive tour for children and definitely met the science curriculum for our missed day of school. To read about our full Lake Louise experience, check out my newest story just published: Family Guide to the Lake Louise Ski Resort. We spent at weekend at Emerald Lake Lodge this past month and I have nothing but amazing things to say about Yoho National Park in winter. There are often specials on stays here so make sure you check the website before assuming you'd never be able to afford a stay here. Emerald Lake Lodge is family-friendly! I know it looks "fancy" but they have a kids menu in the dining room, a kid-friendly breakfast buffet on weekends, rooms with two queen sized beds for families, and the lounge is great if you want to hang out after skiing while warming up with hot chocolate and some board games. They even carry a large collection of games at the lodge. Follow this link for information on all winter trails in Yoho National Park. And if you really can't afford to stay at the lodge, there are other accommodations in the Town of Field below the lake. We'll be staying at the Fireweed Hostel in March and I can't wait to tell you all about it after our trip. There are several backcountry huts that make for ideal family-friendly winter adventures and you won't have to ski for hours to reach some of them. Special thanks to the great businesses who made some of these trips possible so that I could write about them. Emerald Lake Resort and Tourism BC graciously sponsored our trip to Emerald Lake Lodge. Hostelling International and the Lake Louise Ski Resort sponsored our recent trip to Lake Louise. As always, all opinions are my own and this story was not sponsored or paid for by any of the companies or businesses represented.